Lemon is a versatile common fruit which keeps our body & mind fresh and healthy. In ancient times, lemons were commonly used during summer season to quench the thirst of hot summer. But in modern times, people have started using many types of artificially prepared cold drinks ignoring nature's valuable gift of lemons. Aroma of lemon is relaxing in nature. It is commonly used in many perfumes and agarbatis. Lemon oil is used in many soaps and detergents. It has cleansing, deodorising, soothing effect on skin and relaxing properties of its odor to mind. Lemon is a rich source of vitamin C. According to FDA, normal daily requirement of vitamin C for older people is 64mg. For male adults between 19-30 age group it is 90mg. For female adults between 19-30 age group daily 75mg vitamin C is required. The 100gms per serving of lemon juice contains almost 50-53 mgs vitamin C which is 64% of our body's daily requirement. Other nourishing elements in lemon are Vit B6, Vit-A, Vit-E, copper, iron, magnesium, zinc, potassium. It contains flavonoids. Lemon juice is sprinkled on sliced apple, bananas, and other fruits for its short term preservation to prevent fruits from oxidation and turn brown after being sliced. The juice of lemon is used in brightening the brass metal utensils. Mix juice of lemon with small amount of soda bicarbonate and scrub on brass metal objects to brighten them. Lemon juice is mixed with wood ash to clean utensils. Lemon juice not only removes stains and bad odour from utensils but acts as antibacterial also. That is why many dish wash liquid detergents and cake manufacturer's prefer the flavour of lemons for it refreshing, cleansing , deodorizing and anti bacterial properties. Lemon juice in hot water is given in hotels for washing hands due to its cleansing and refreshing properties. Lemon juice being a natural antiseptic, can cure problems of skin. The juice is good for acne and eczema. It acts as an anti ageing remedy. To make the skin fair, mix a few drops of lemon juice in multani mitti or besun powder and make a cream. Apply it on the skin to make it fair and brighter. Lemon is rich in Vit-C, which improves the rate at which hair grow by boosting the production of collagen. The acidic nature of lemon helps tighten the hair follicles, curbing hair fall. It controls the production of oil in scalp. It has anti fungal properties also. Apply lemon juice and amla powder with curd on the scalp. It cures dandruff and also treats hair fall. Lemon juice can eliminate the occurance of kidney stones by forming urinary citrate, which prevents the formation of crystals. Lemons are acidic to begin with but they are alkaline forming on body fluids helping to restore balance of the body's pH. Lemon aids in weight loss by lowering the glycemic index. Glycemic index of meal can be lowered by 20 to 40% by adding a few teaspoon of lemon juice to the meal. Glycemic index refers to how much a food causes the blood sugar to rise. Lowering the glycemic index of a food helps keep blood sugar steady, good for controlling hunger and losing weight. Lemon oil is multifaceted essential oil. It is a natural immunity booster. It helps to alleviate headache and is a quick mood enhancer. The oil is extracted from the lemon peel via cold expression. Peel is the most nutrient dense part of the fruit. It is rich in fat soluble phytonutrients. Lemon flushes out the undigested food residue and accumulated faeces and reestablish health. Lemon is the only food in the world that is anionic. All other foods are cationic. This makes it extremely useful to health as it is the interaction between anions and cations that ultimately provides all cell energy. 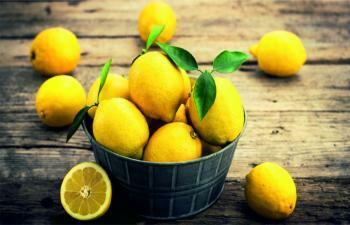 In the end, lemon has proved to be nature's boon to everyone who uses it. It hydrates and oxygenates the body so it feels revitalized and refreshed. Lemon is a versatile common fruit which keeps our body & mind fresh and healthy. In ancient times, lemons were commonly used during summer season to quench the thirst of hot summer. Lemon juice being a natural antiseptic, can also cure problems of skin. The juice is good for acne and eczema. It acts as an anti ageing remedy. Pure lemon juice contains acids, which is harmful to tooth enamel. Always dilute it with water before drinking.